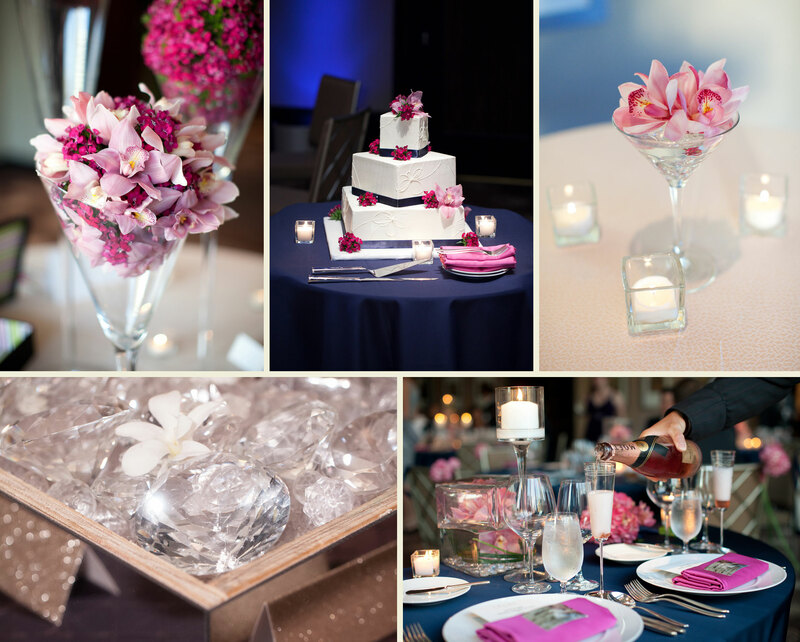 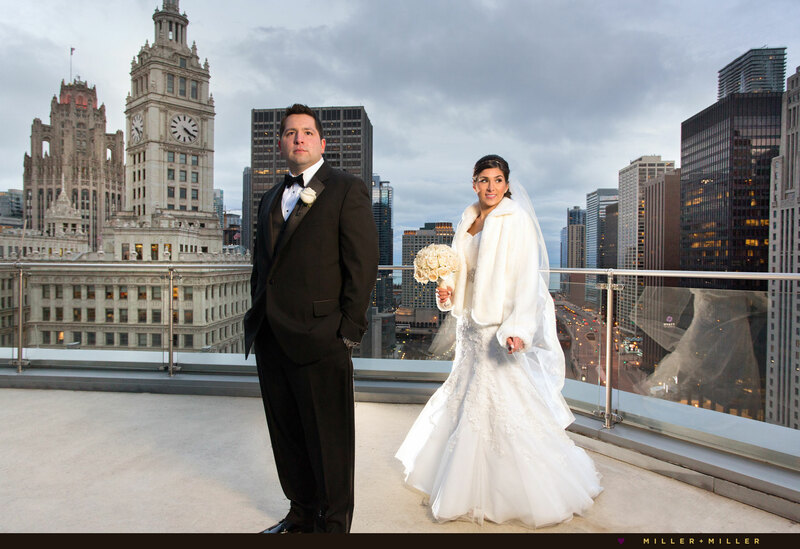 For an elegant and memorable Chicago wedding venue, photos and photography, look no further than The Trump International Hotel & Tower Chicago. 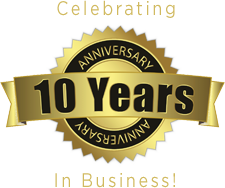 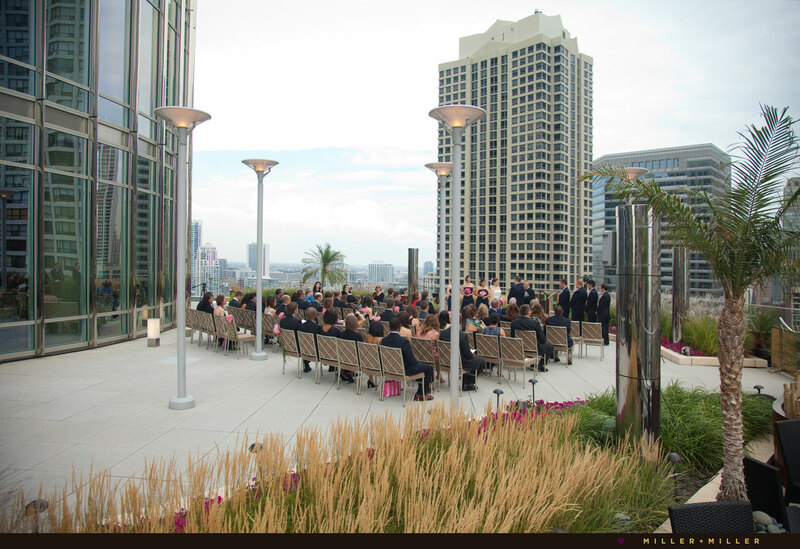 Looking to take your wedding event to a new level? 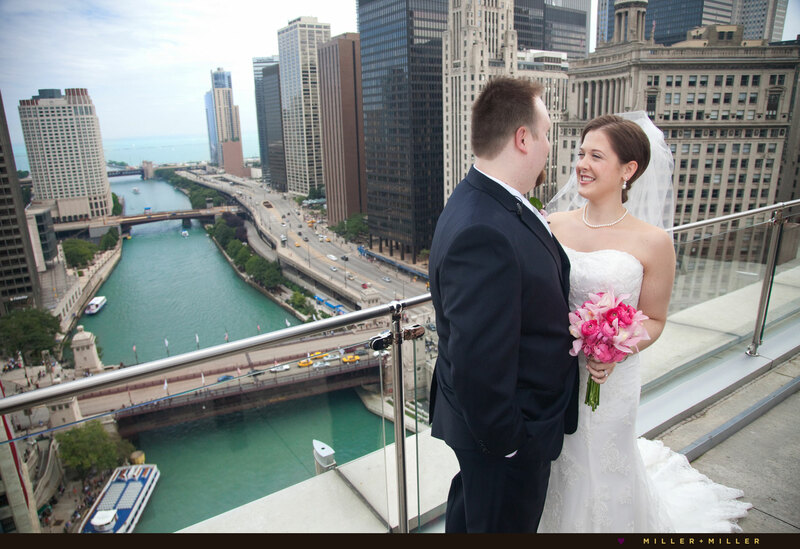 How about 16 stories above Chicago overlooking the skyline! 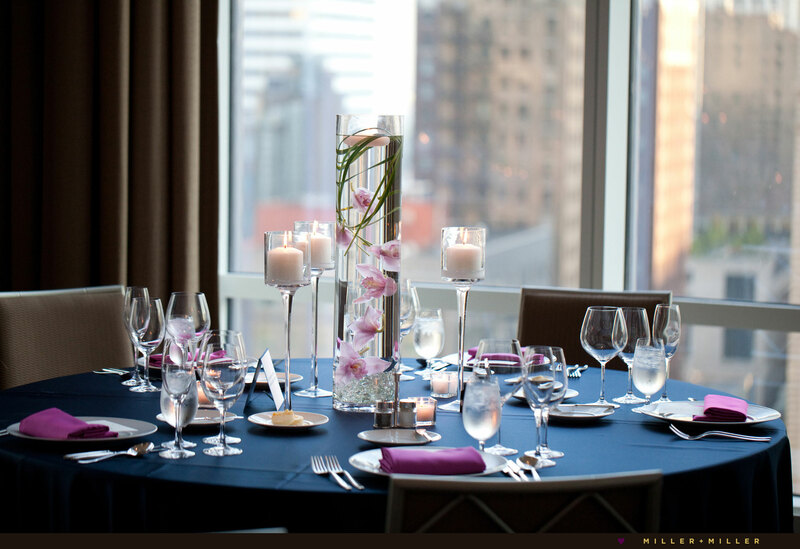 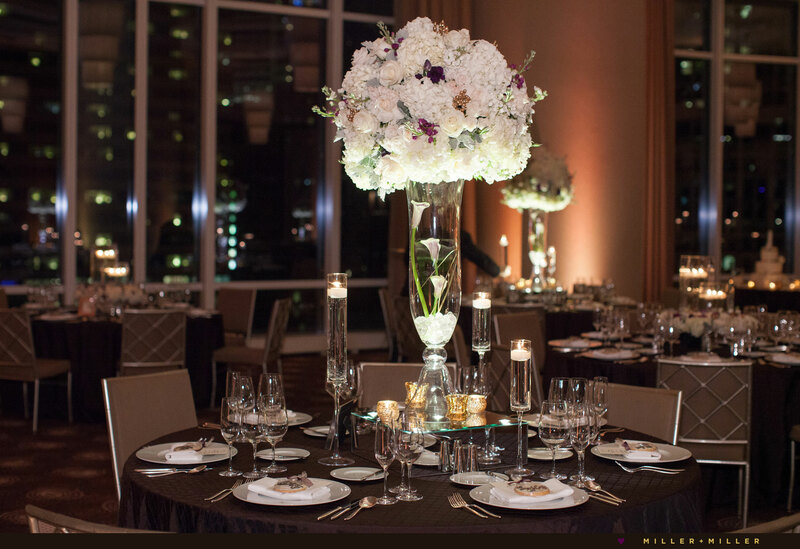 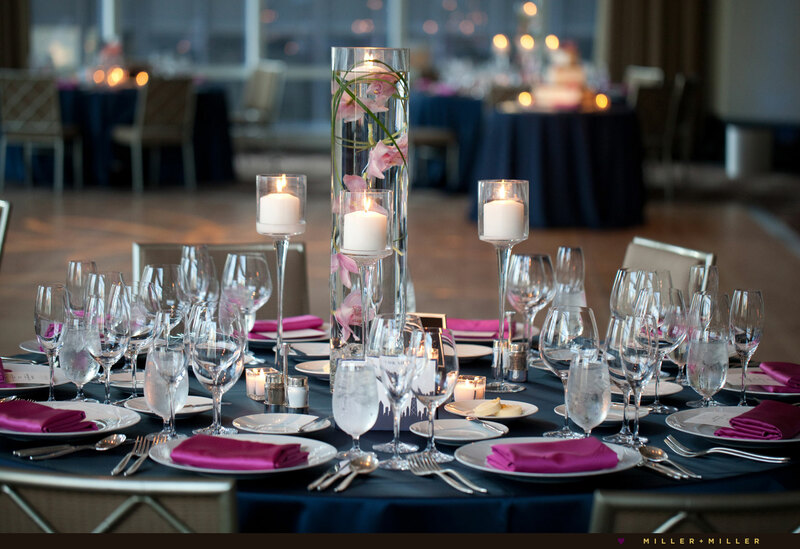 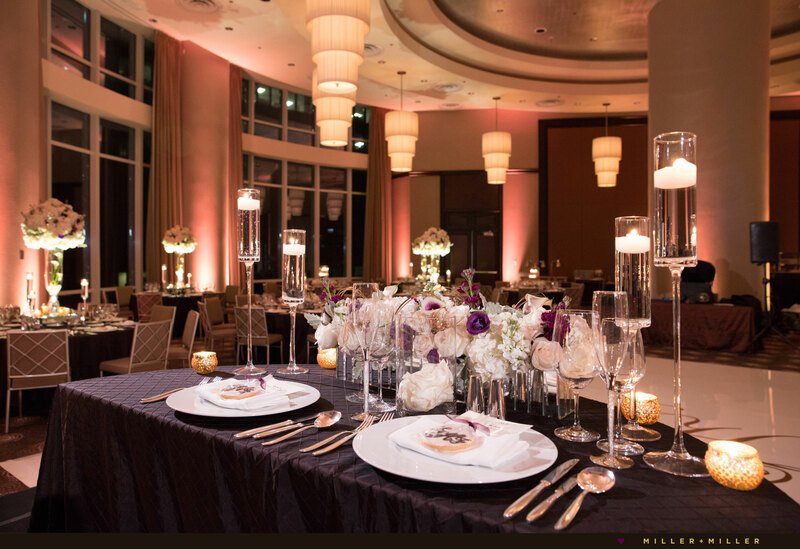 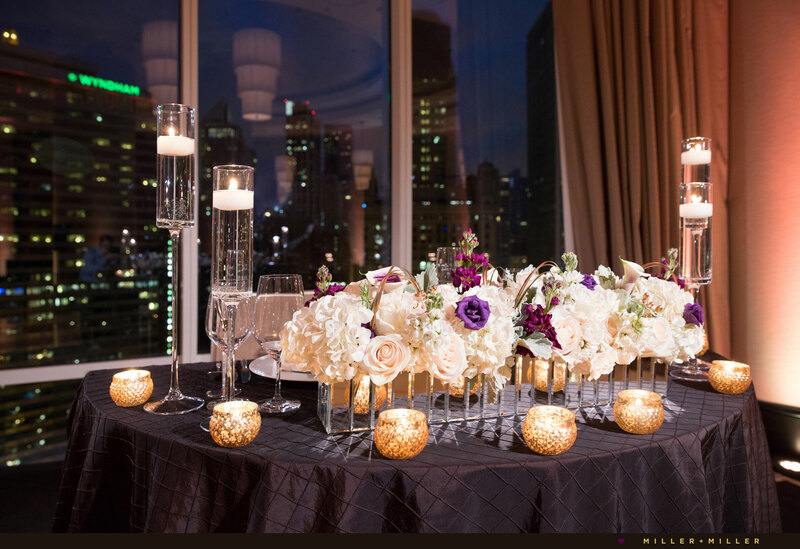 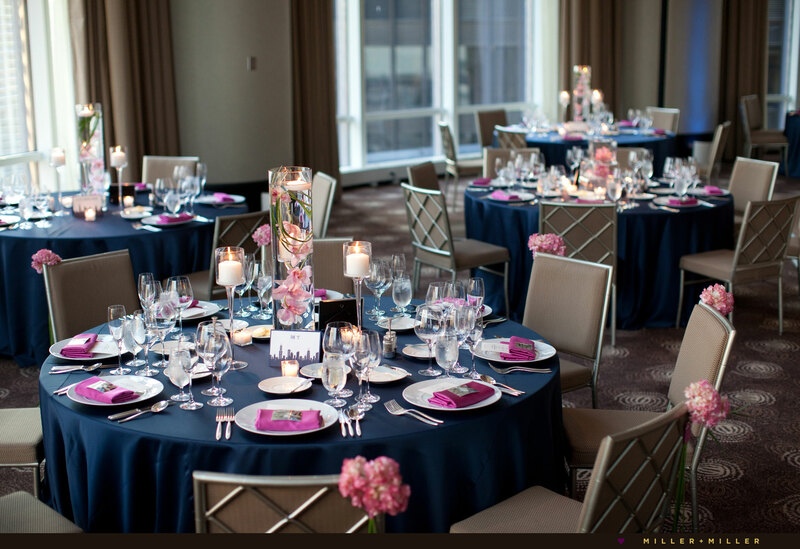 The Trump International Hotel & Tower has luxurious Chicago event spaces that showcase amazing city views and provide an ultimate setting for luxury weddings to take place. 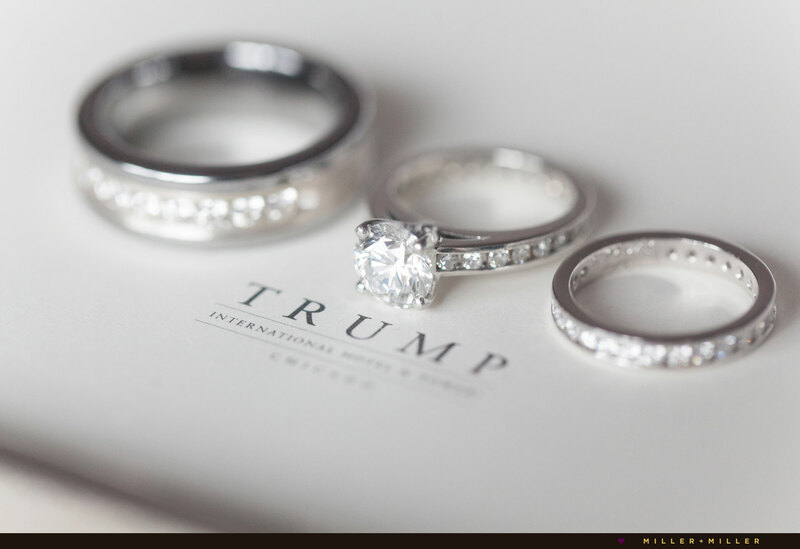 We love this hotel and how each of our numerous visits to Trump inspire our photography uniquely. 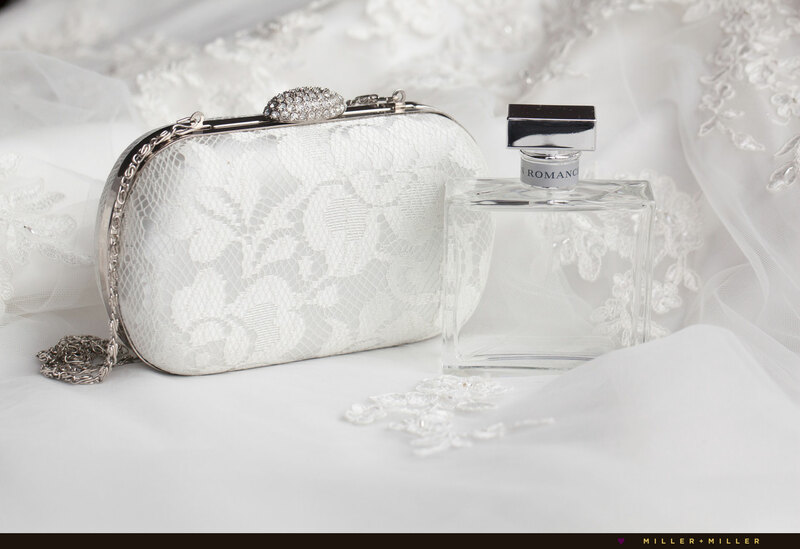 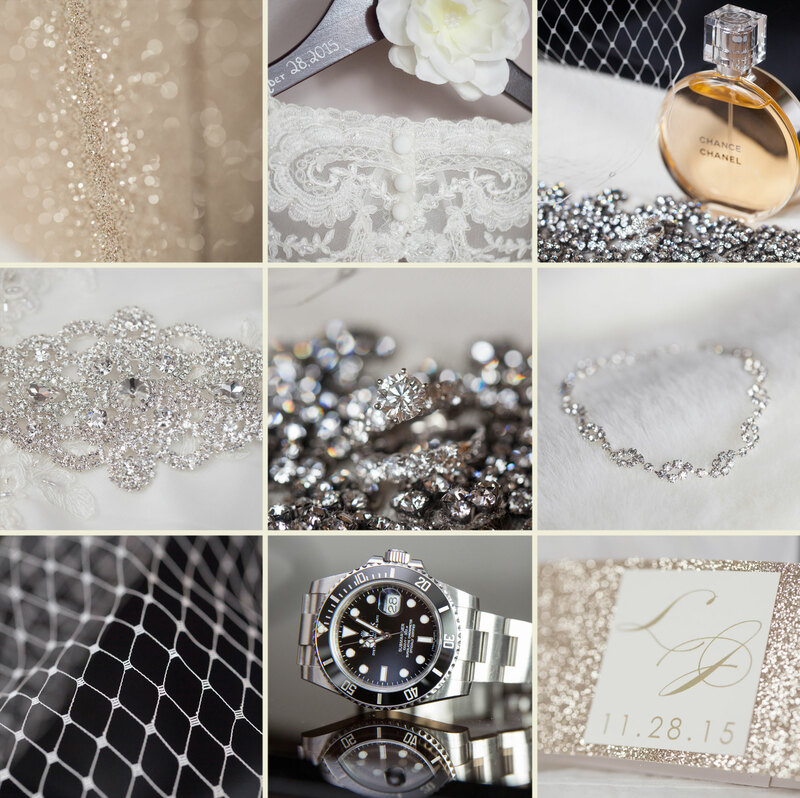 No matter the season, Winter or Summer, or whether it be a particular fashion, chic wedding style, elegant or mod styled wedding couple… we love capturing the unique personalities of all our clients. 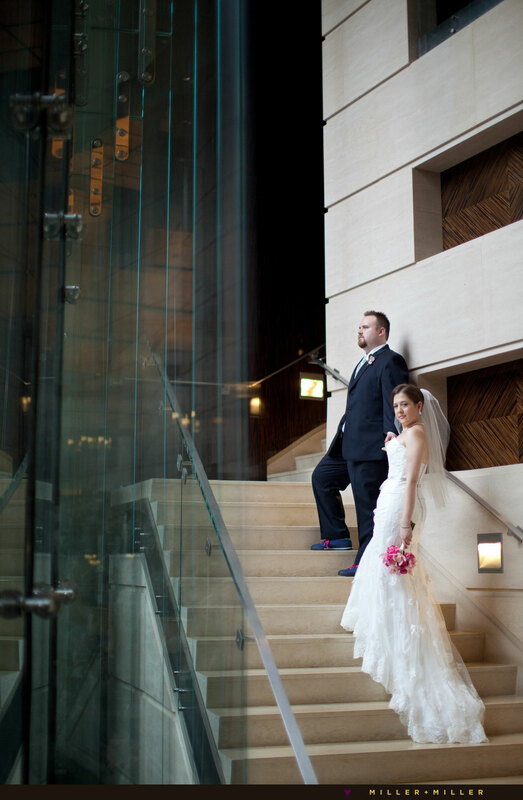 With Trump’s diverse photo nooks and spots for photography both indoors on the Trump hotel’s staircase, lobby, wine foyer, restaurants or bars or outdoors on the Terrace, along the Trump Riverwalk or at a nearby urban city option, there really are countless photo locations and great spots for photography close by. 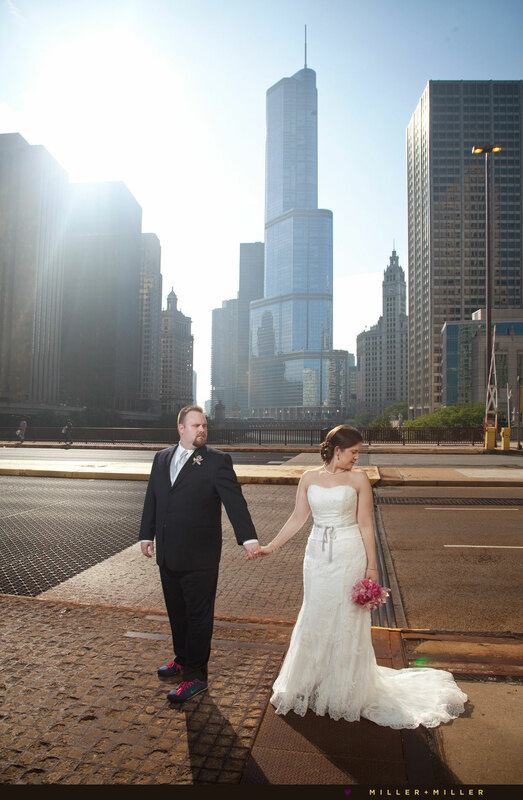 We love talking about photo variety and discussing scenic or favorite photographic spots with our Trump wedding couples. 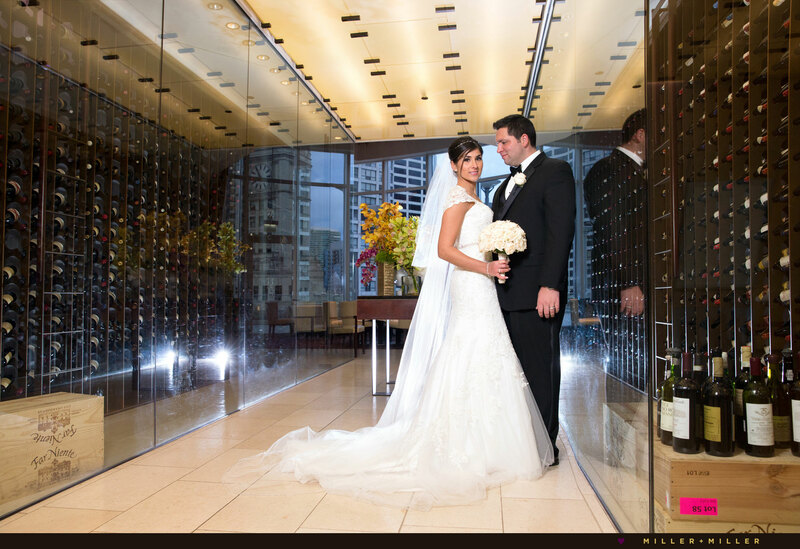 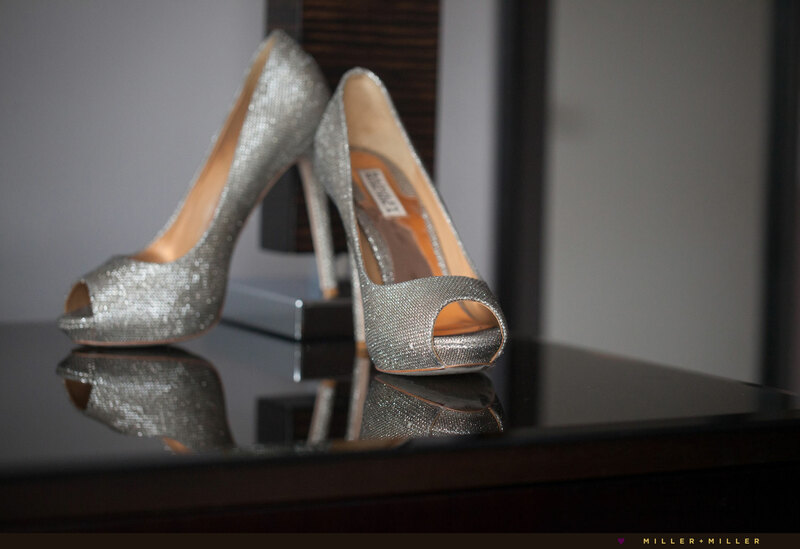 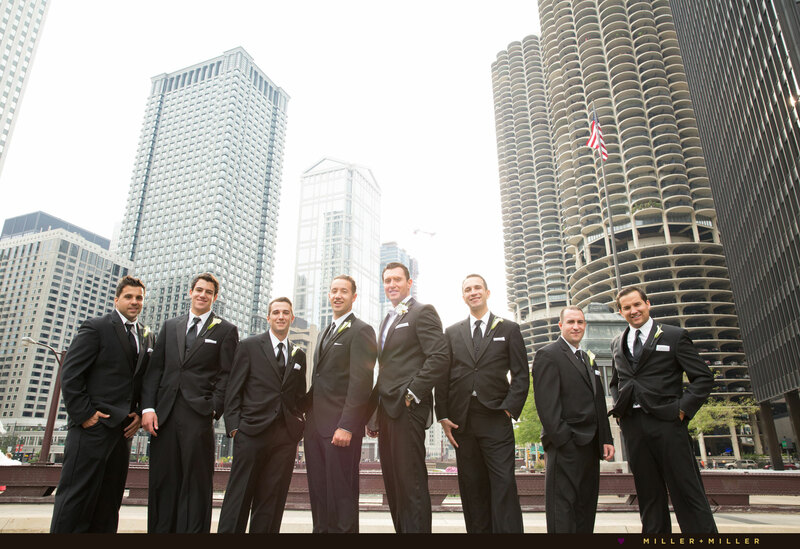 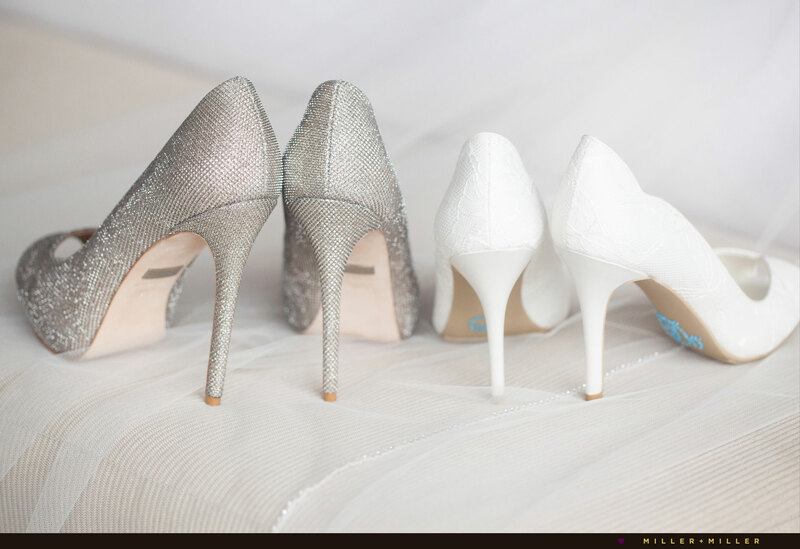 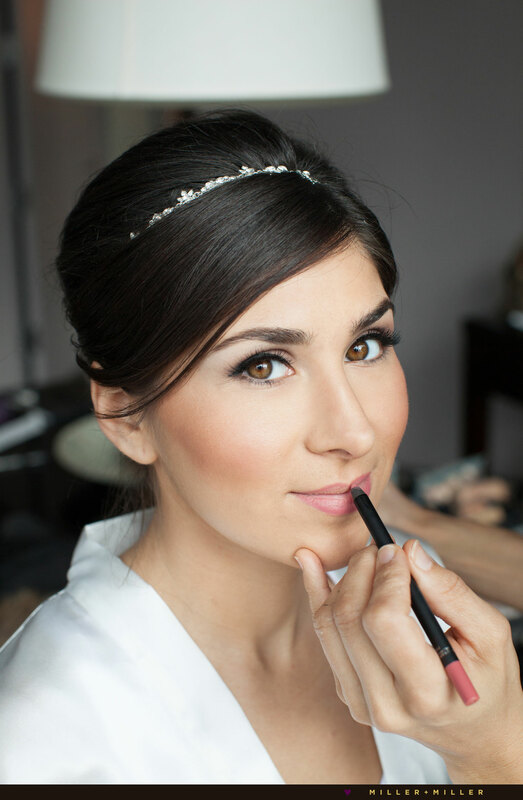 ♥ Below is a collection of photographs highlighting Miller + Miller past visits and wedding photography at the Trump Tower a Chicago hotel wedding venue. 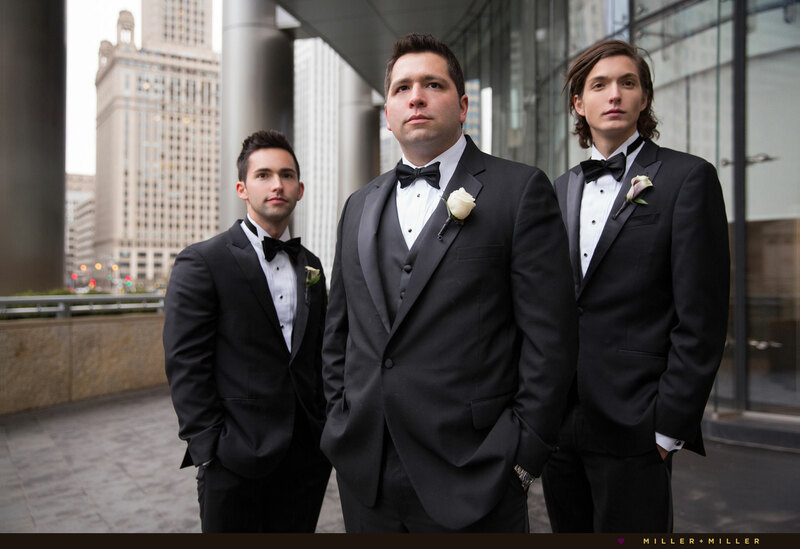 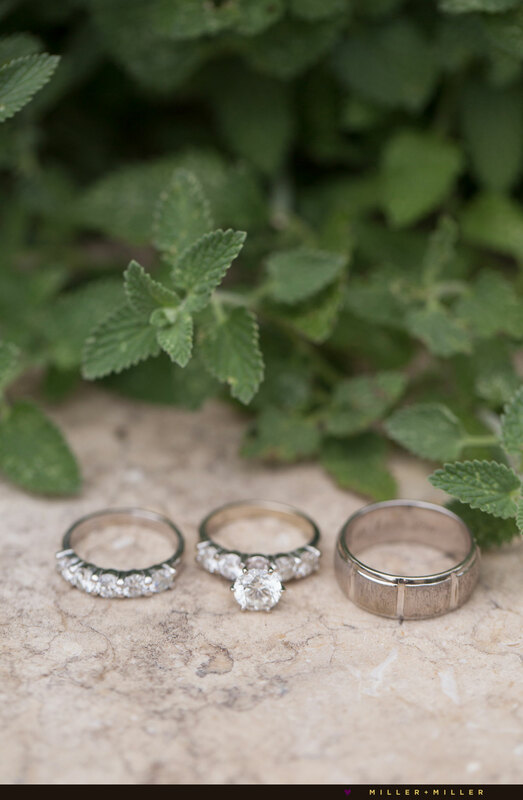 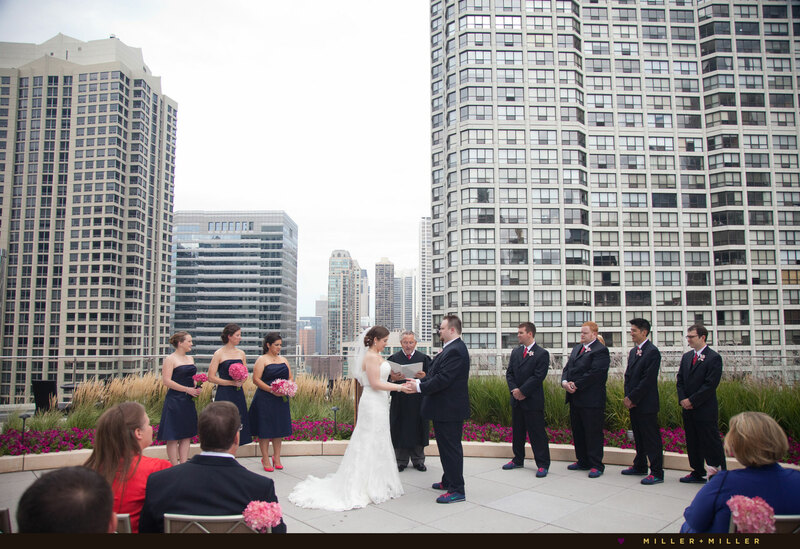 We are Chicago wedding photographers and have been inside numerous skyscrapers in Chicago. 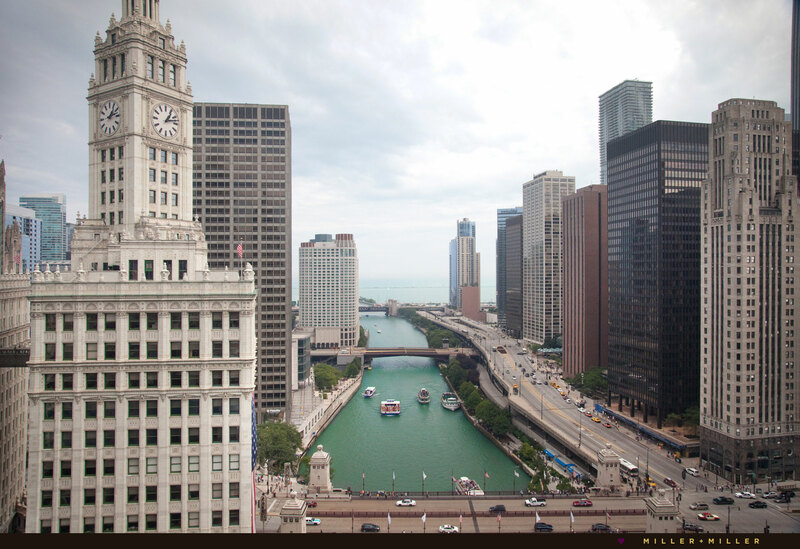 Trump Hotel Chicago has one of the best downtown skyline city views! 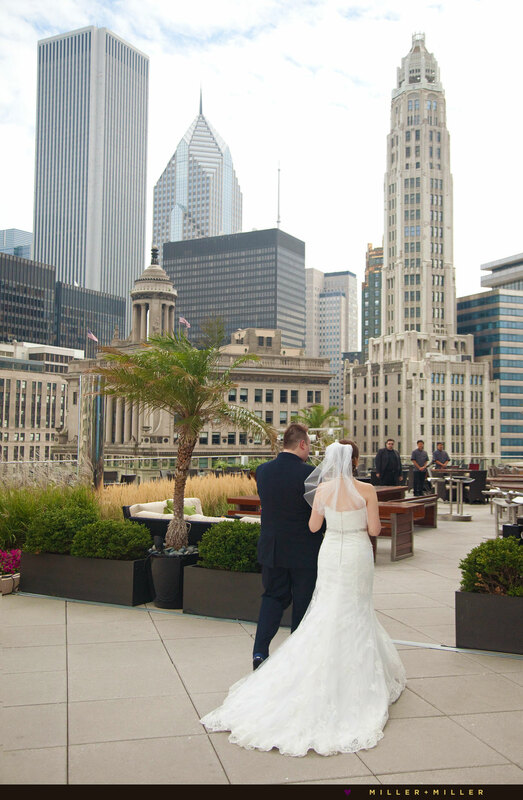 Best of all, with the design of the building you can enjoy breathtaking views of the Chicago skyline throughout the hotel. 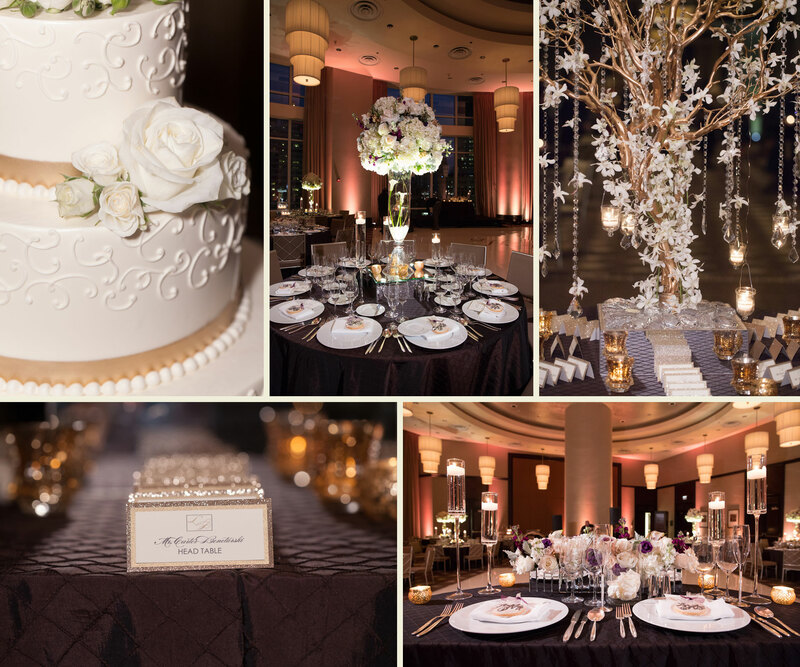 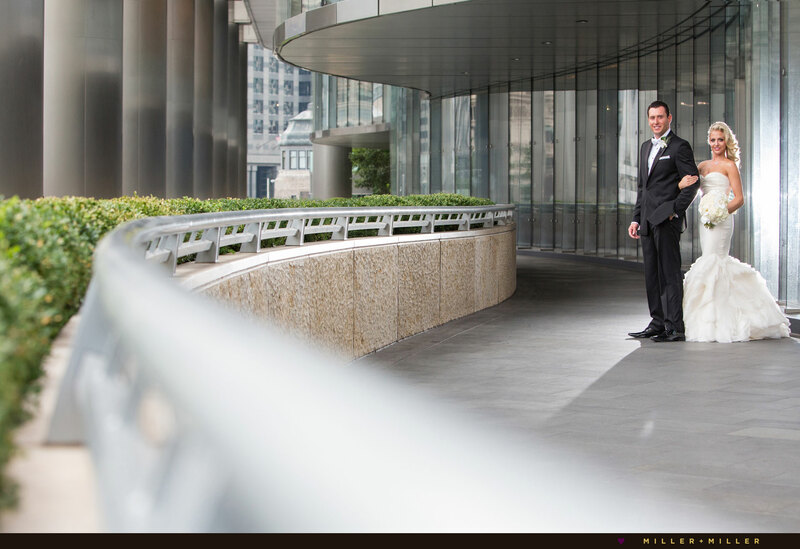 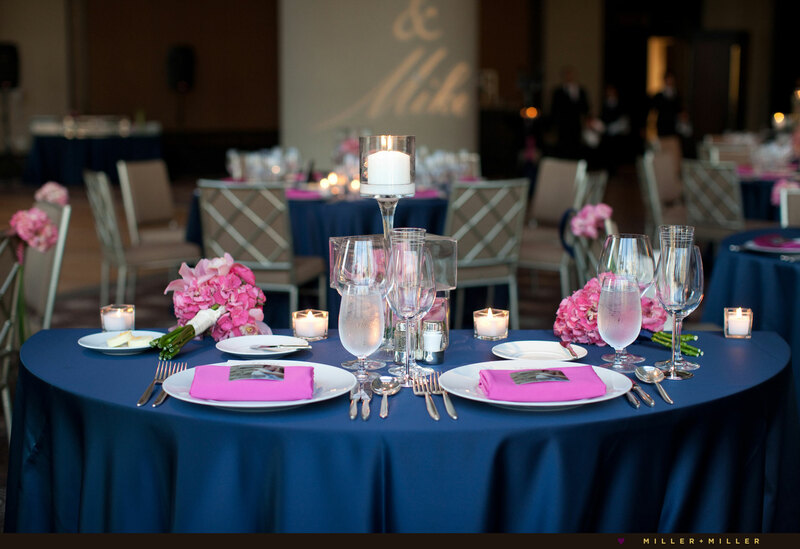 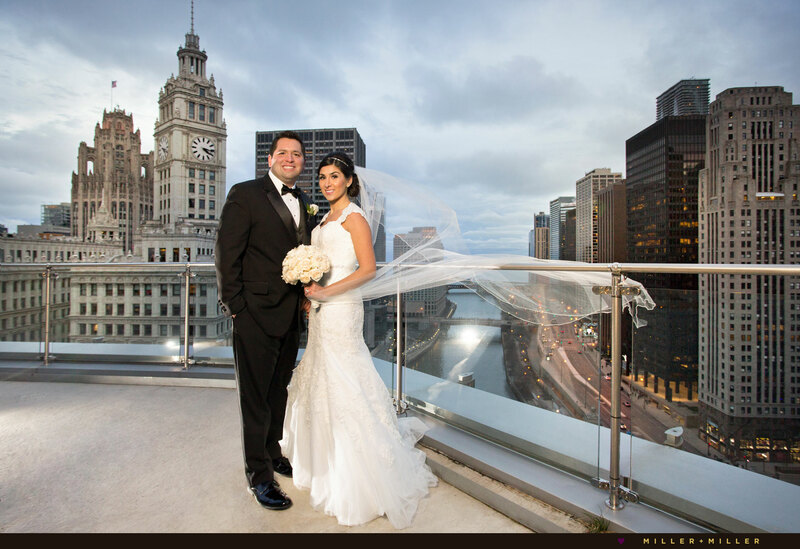 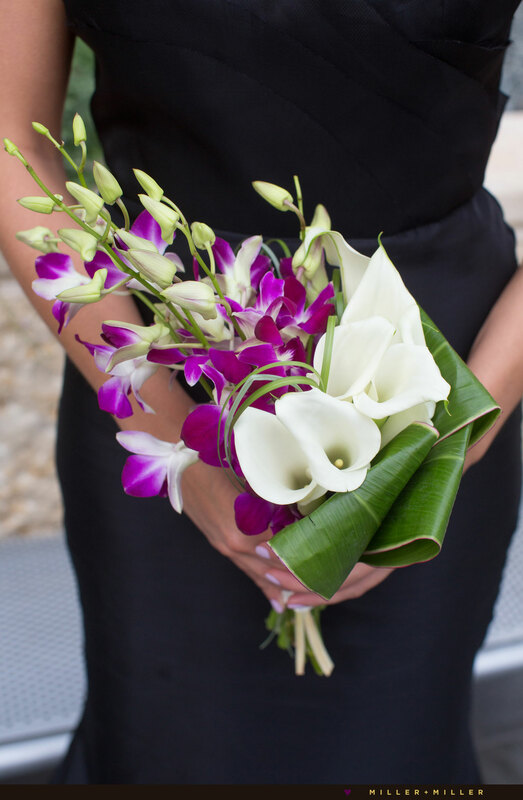 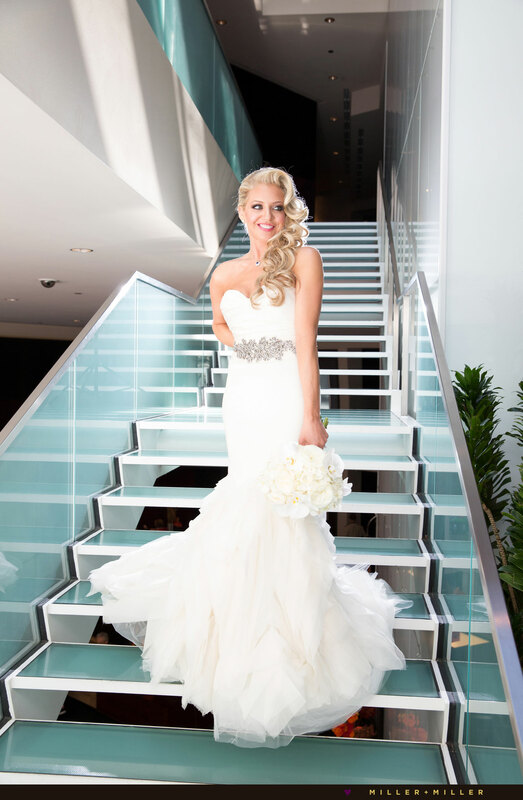 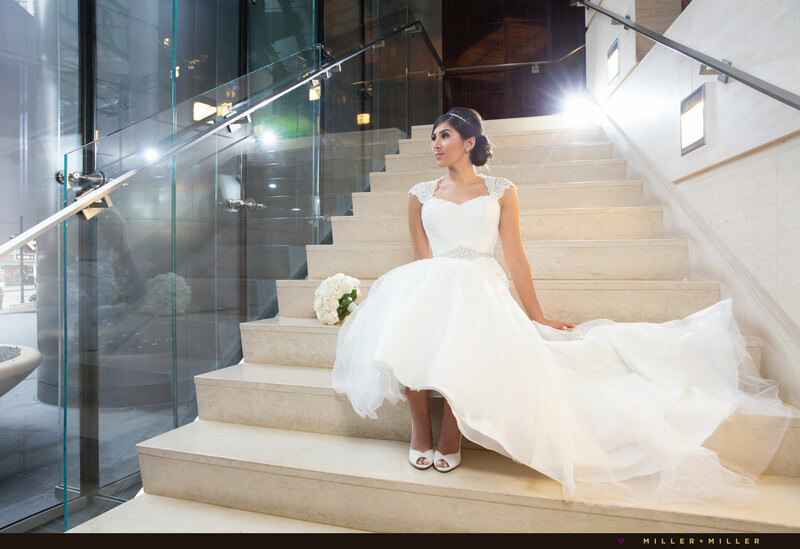 From the outdoor terrace at Sixteen to the floor to ceiling windows city views in the guests suites, salon, and the wedding reception’s Grand Ballroom every space makes weddings at Trump Chicago very city oriented and urban breathtaking. 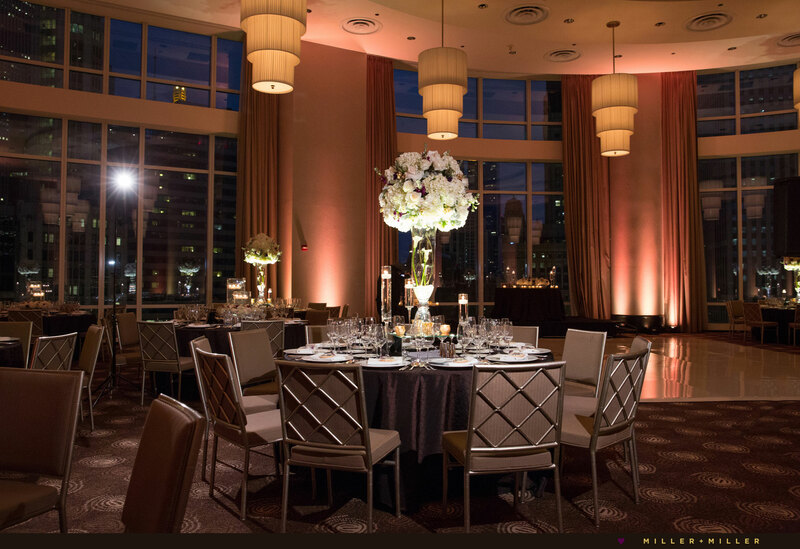 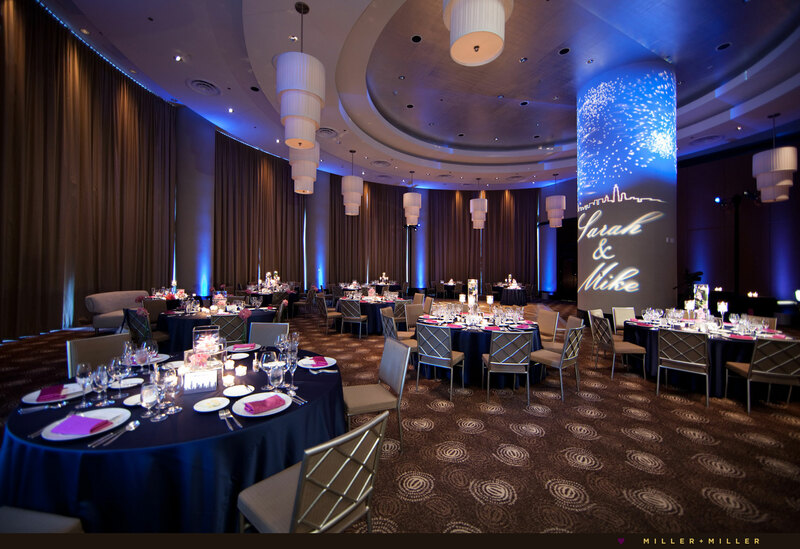 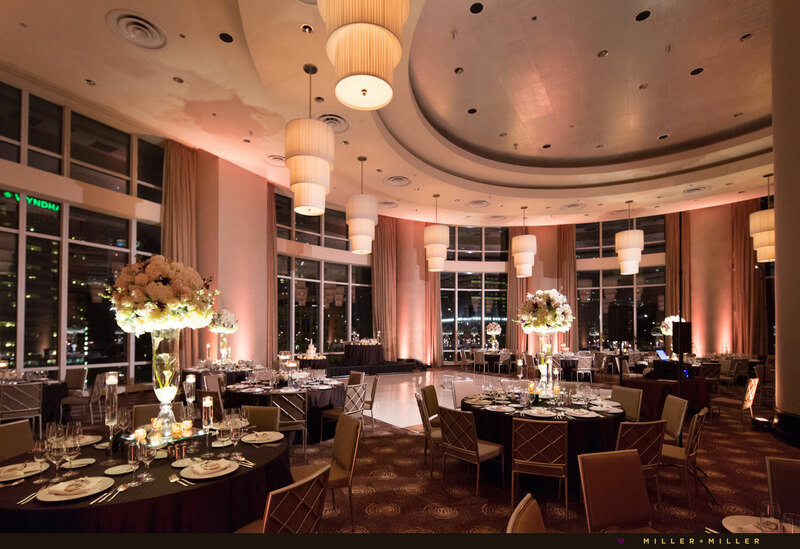 The Grand Ballroom features enormous 24 ft windows providing wedding guests with vast views of the Chicago skyline, the Chicago River, Lake Michigan and historic Chicago architecture in every direction. 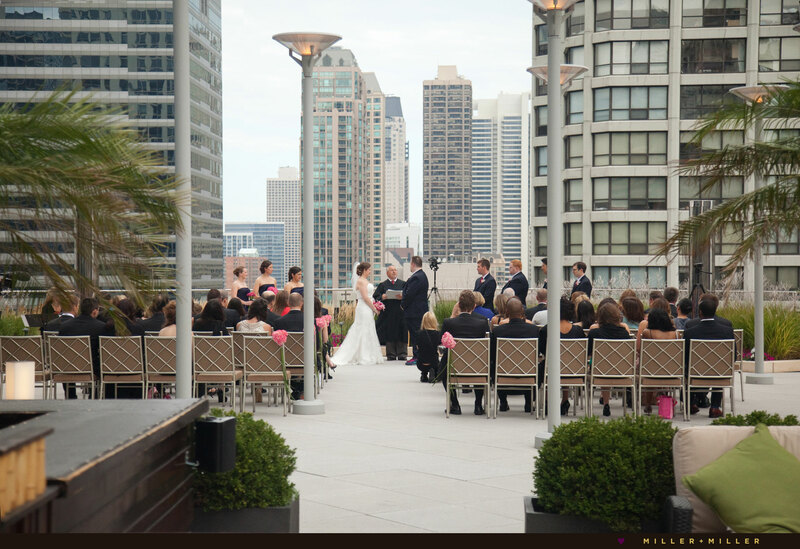 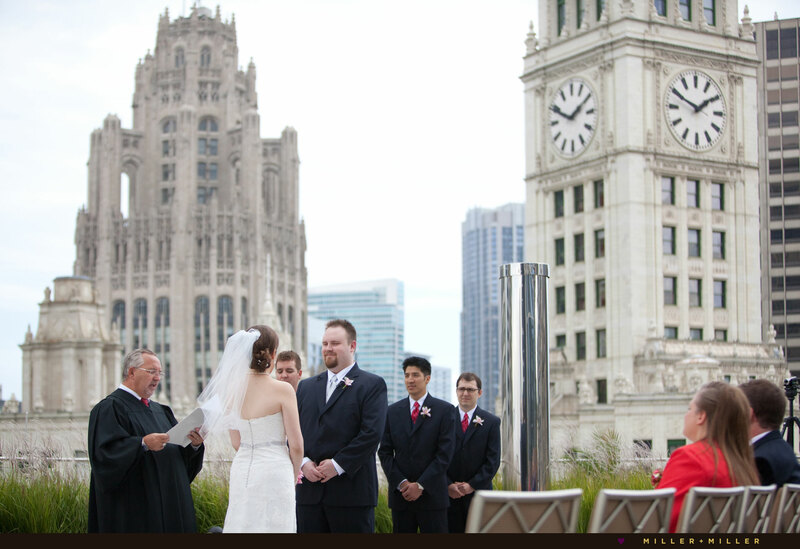 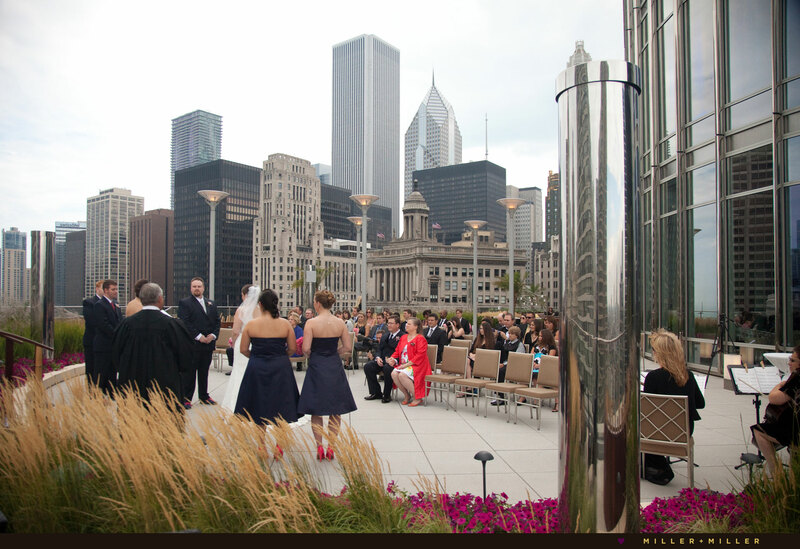 Book your ceremony at The Terrace at Trump in Sixteen which allows for the ultimate outdoor, rooftop Chicago ceremony setting. 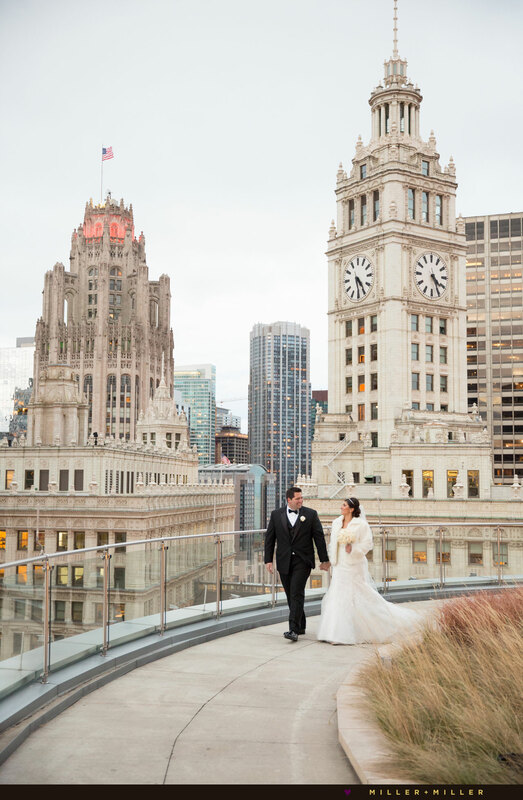 Eye to eye with the Wrigley Building’s Clock Tower, amazing sunsets, and romantic after dark summer nights include views over Navy Pier’s weekend firework show. 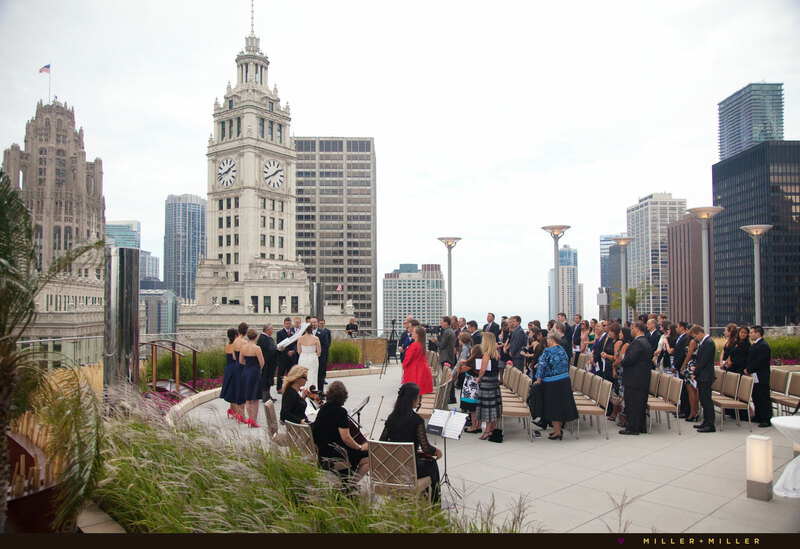 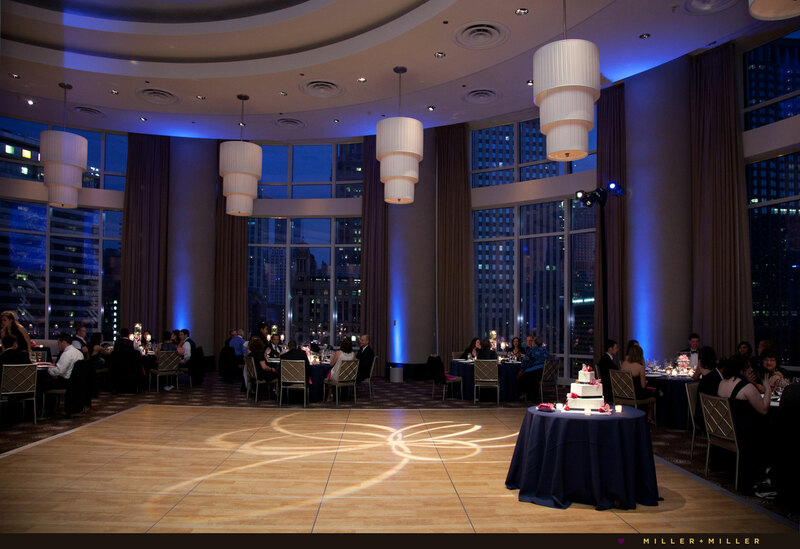 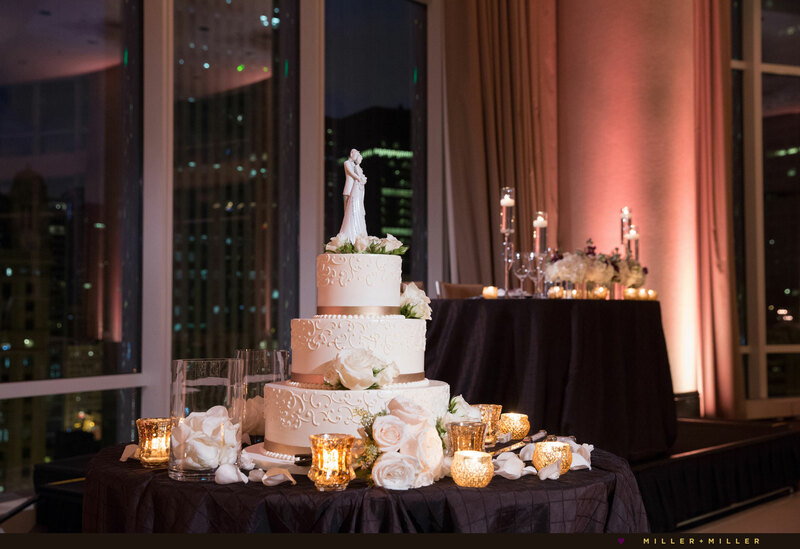 Inside ceremonies at Trump can be equally as memorable too with the stunning city and skyline views in the Skyline Room. 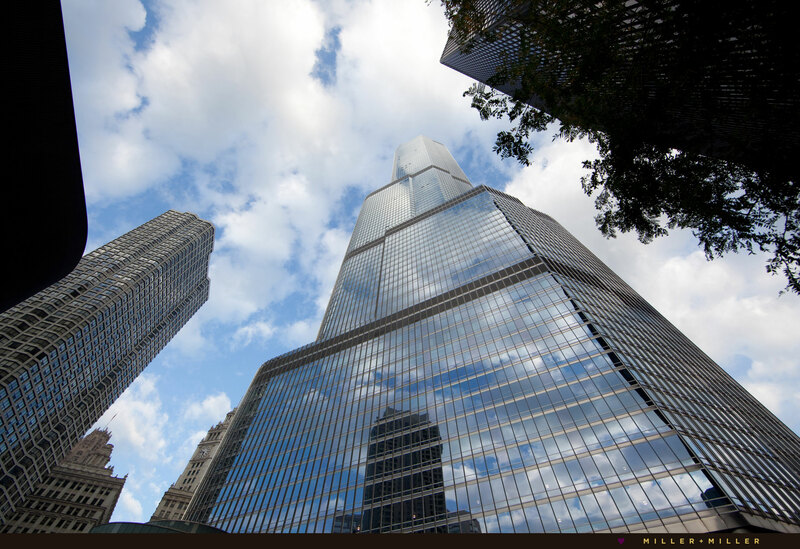 Trump International Hotel and Tower Chicago offers a one-of-a-kind magnificent view of the city and Chicago’s skyline light up before your eyes.